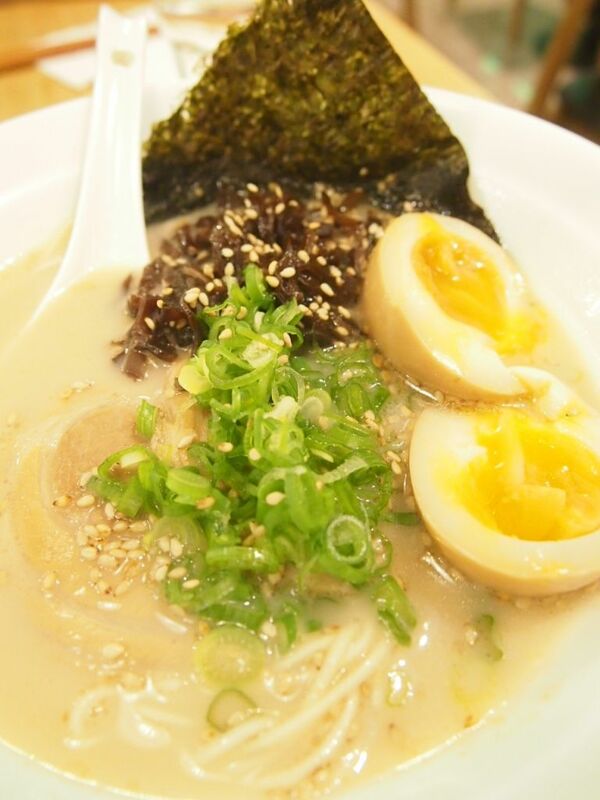 Following the success of their first outlet at Metropolis, the good folks behind Kanshoku decided that it's time to bring their widely-raved ramen to one of the most popular shopping malls in town. The ramen bar is a cozy and casual outfit that sits on level one of Orchard Gateway and we heard that it is packed all the time. I was really excited about the Truffle Ramen ($16.90) + Ajitama ($2) which comes tossed in a decent dose of truffle oil. Served dry and cold, the bed of firm and springy noodles left an impression with its texture. 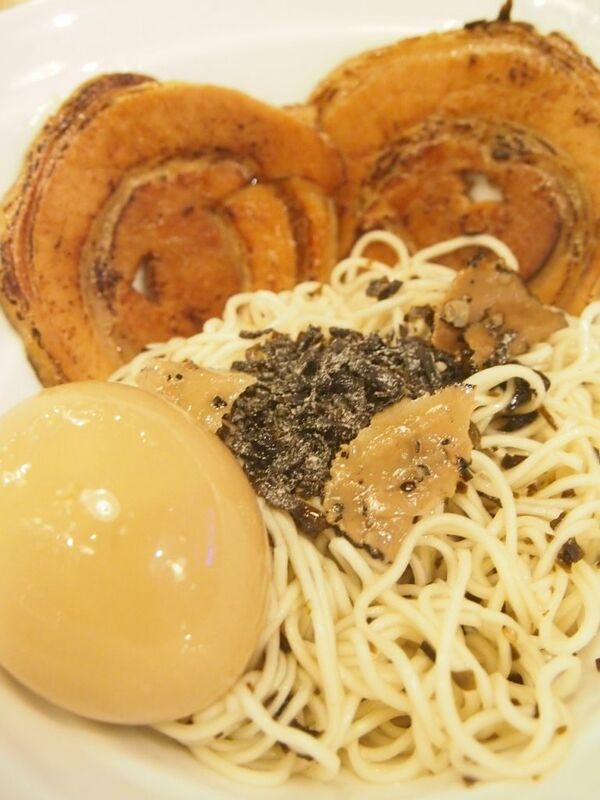 The noodles are topped with real black truffle and flanked by two lightly torched slices of tender charshu. Starting the meal with such a satisfying treat definitely set a high benchmark for the rest of dinner. 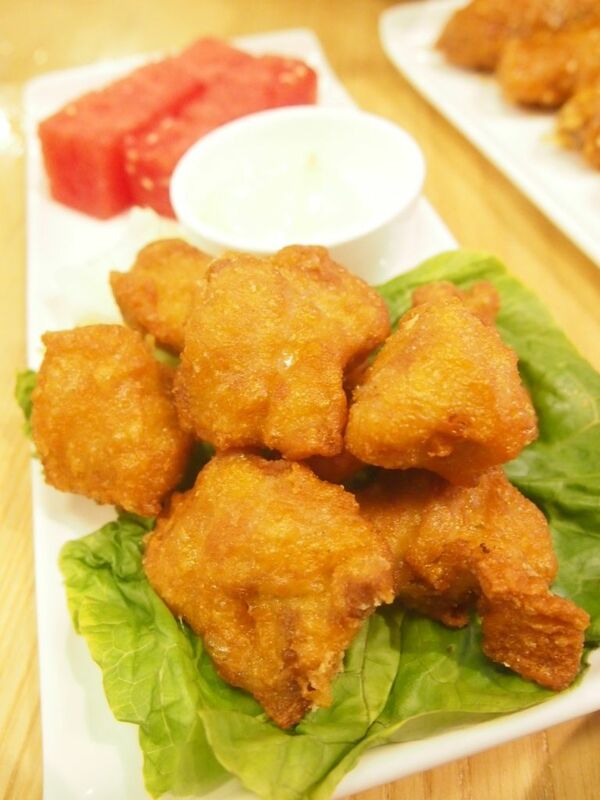 The bite-sized pieces proved to be coated in a batter that's too thick and heavy. 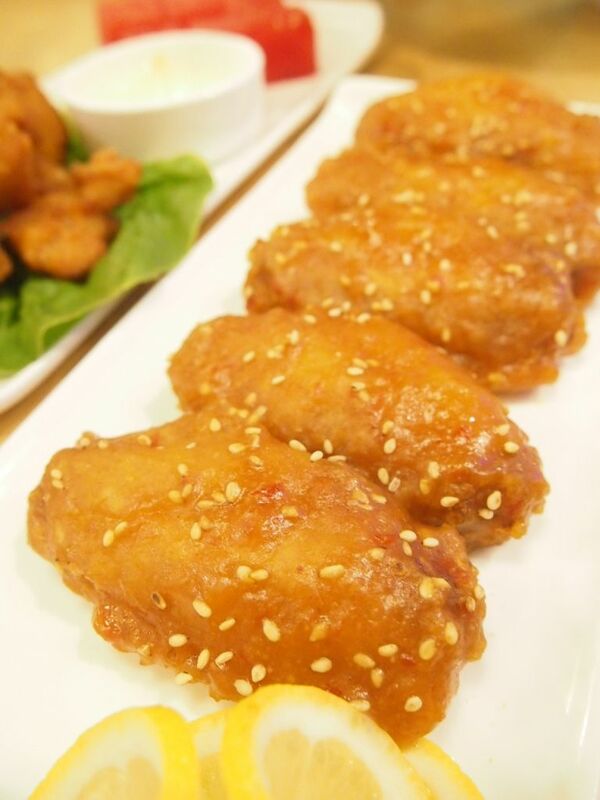 While the chicken chunks encased were juicy, they were wrapped up in a jacket too tough. The wings were in all honesty, underwhelming. They were dressed in a spicy and sticky sauce that didn't quite impress. While this is the signature dish here at Kanshoku, I felt that the Truffle Ramen outshone it. The broth was shockingly watered down. It lacked the richness, creaminess and aroma that we are so very used to. We had high hopes for this but were disappointed with the unexpected lightness and blandness. For a soup base that has been painstakingly prepared for 8 hours, this shouldn't be the end product. 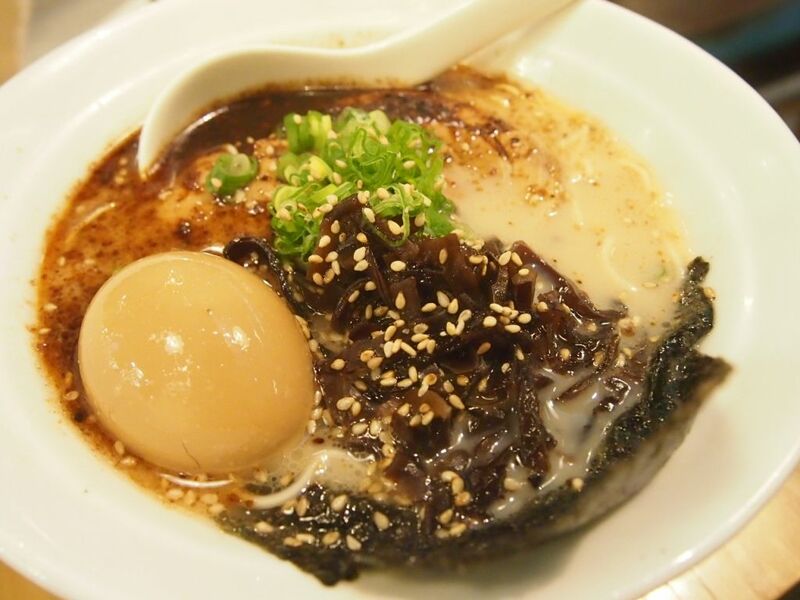 The fresh Hakata-style ramen that is made in-house daily has a great bite though, and I thought that the marinated eggs were nicely done. The taste of garlic is extremely pronounced, to the extent that the broth was bitter. We didn't enjoy it but we concluded that we aren't the best judge since we aren't huge fans of garlic to begin with. I'll say that this is one for those who love copious amounts of garlic in their food. All in all, there were more misses than hits but I would go back to Kanshoku just for the Truffle Ramen.